Percy Miller, also known in the rap industry as Master P, currently holds the title as being the richest rapper in the industry. He exemplifies a classic rags to riches story with his dedication, hard work, prayers, and beliefs paying off. This lyrical genius from the streets of New Orleans was not born into money, get lucky, or catch a break to be known as the richest rapper that is currently in the industry; but rather, he had his mind set on goals, worked hard towards them, and didn't let any hardships stop him. Master P is an extremely well known artist to anybody who is even slightly familiar with the rap industry; however, not many people are aware of the things that he did to work his way up to being the richest rapper. This article will exemplify the many things that he did that allowed him to bring his net worth up to a staggering $660 million, and ultimately be the richest rapper to ever rap in the industry! Master P began his rapping career with the release of his first album entitled Get Away Clean in the early quarter of 1991; moreover, he continued to release 14 more albums until the final quarter of 2007. With the release of 15 albums, it is easy to see how hard Master P worked on his music, and why he has acquired this wealth! 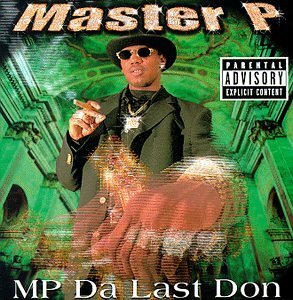 Out of all these 15 albums, MP Da Last Don was by far his most successful release boasting over 4 million copies; its 4 time platinum certification surely helped Master P climb his way to being the richest rapper alive. Master P was also known to play a humongous role in producing his own songs; this serves as only more evidence of his hard work and dedication. Furthermore, he used his hit song releases to showcase his production skills, which later fuelled his business opportunities that allowed him to raise his net worth even further to allow him to gain the title as being the richest rapper. Although rapping was not the only thing that allowed Master P to accumulate this incredible net worth, his roots can definitely be traced back to his rapping career. To his listeners and fans, he was Master P; however, to his business partners and emplo Credit: Amazon.comyees he was Percy Miller. Although his roots can be traced back to speaking lyrics on the streets of New Orleans, it was his journey as an entrepreneur that raised his net worth to this heightened level, and allowed him to become the richest rapper. After gaining the knowledge and skills that are associated with being an artist in the rap industry, he used them to form No Limit Entertainment which involved the behind the scenes aspects of the rap industry. It is unlikely that Percy Miller had accumulated this huge net worth that allowed him to be the richest rapper with one sole entertainment company; this company had many sub-companies that were contained within it. No Limit Records, No Limit Sports Management, No Limit Clothing, No Limit Films, PM Properties, and Bout It Inc. were all sub-companies of No Limit Entertainment and assisted Miller on his pathway to becoming the richest rapper. Percy Miller was not just beauty and bronze with some lyrical talent, but also a genius entrepreneur that had tapped into many aspects of the entertainment industry in lucrative ways. 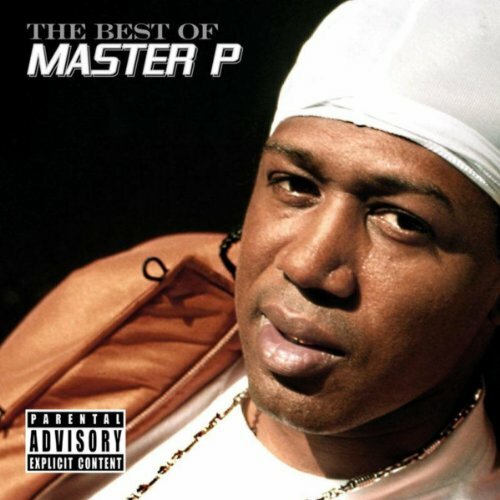 Be sure to take a look at Amazon for the lowest prices on Master P’s CDs. Percy Miller was not only talented in regards to his rapping skills, but also very talented in regards to his acting skills. Although he was not known as much in the film industry as he was in the rap industry, his acting skills and roles definitely contributed to him being the richest rapper. Miller was known to be a go-getter, and this was definitely shown through his many roles as an actor. A good portion of his great net worth and richest rapper status can be attributed to the key roles that he played in hit films such as Gone in 60 seconds, The players club, Hollywood Homicide, and Uncle P. Percy Miller was not born into an acting family or blessed with the skills that some people are blessed with; but rather, he worked on his skills to improve them to the level that they needed to be at to ensure that those roles were his. This mentality of working hard, and staying dedicated until he had reached his goal, which was shown through his acting career, is one of the key factors that allowed him to fight through the hard times, and make it to the good times, which was ultimately what led him to becoming the richest rapper in the industry. Percy Miller, also known as Master P, can definitely be considered one of the hardest working individuals in the rap industry; moreover, it was his hard work that led him to be the richest rapper alive. He had ventures in the rapping, acting, and entrepreneurial industries, and all of them contributed a small part to his astonishing net worth, and ultimately him being crowned as the richest rapper!